Big news for all you cocktail nuts out there: Bitter Truth bitters will become more readily available in the U.S. While one can always order them online from Cocktail Kingdom, it appears that one will soon be able to walk into their nearest speciality store and get Bitter Truth bitters at a reasonable price (as oppossed to the $25 we have to pay for them in Seattle). The Bitter Truth, a brand of cocktail bitters and flavorings, has partnered with Domaine Select Wine Estates’ (DSWE) Classic and Vintage Artisanal Spirits Portfolio to bring their award-winning products to the United States. The first shipment will arrive stateside in mid-January 2010. Founded in 2006, by mixologists Stephan Berg and Alexander Hauck, The Bitter Truth offers bartenders a broad range of cocktail seasonings and flavors. The products that will be available in the U.S. include the award winning Celery Bitters, Old Time Aromatic Bitters, Orange Bitters, Lemon Bitters, as well as the Bittermens Xocolatl Mole and Grapefruit Bitters. All bitters are priced at $15.95 for a 200 ml bottle. 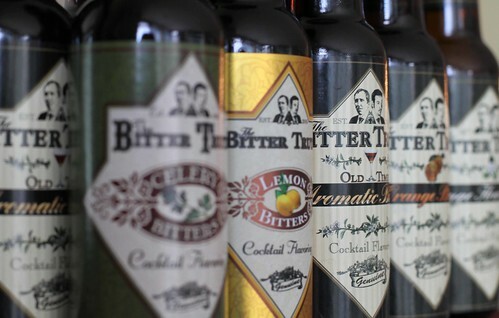 A coveted item by bartenders around the world, The Bitter Truth Bitters can now be purchased nationwide. Originally used as a pharmaceutical elixir, bitters were one of the main ingredients in the earliest cocktail recipes. With the resurgence of classic cocktail culture and growth of contemporary mixology, The Bitter Truth’s products have found great favor amongst the best bartenders in the world. The Bitter Truth line of products helps bring complexity to cocktails and are intended to be another tool for bartenders and mixologists to create unique, creative and innovative cocktails. Celery Bitters: The first celery bitters to be commercially produced in decades. This 19th century cocktail ingredient enriches cocktails with unusual flavors. Lemon Bitters: Gives the liveliness of fresh lemons to every cocktail. Bitter to the taste, this formulation also has notes of coriander seeds and cardamom in the background. Aromatic Bitters: Classically bitter and tangy. Combining the aromatics of cinnamon, cardamom, anise and cloves, it reminds one of gingerbread. Orange Bitters: The aroma of bitter orange peel is in the foreground, complimented by the spicy flavors of cardamom, caraway and nutmeg. Bittermens Grapefruit Bitters: Grapefruit meets with hops to create a fresh, bright citrus note. Best friends with gin and tequila, this bitter plays nicely with fizzy and fruity drinks as well. Bittermens Xocolatl Mole Bitters: Deep chocolate notes are supported by classic bitter flavors and accented with a hint of spice. Plays perfectly with most dark spirits, rums and tequilas. The initial U.S. launch will be in 16 states including: California, Massachusetts, New York, New Jersey, Florida, Nevada, Illinois, North Carolina, Texas, Tennessee, Washington, Oregon, Maryland, Washington DC, Louisiana and Colorado. ~ by Jamie Boudreau on December 30, 2009. I’m holding my breath WRT to the pricing. You’d *think* we’d get a break when they are bulk imported into the US (as opposed to being shipped a few cases at a time) but I’ll wait and see. Must remain calm until Bitter Truth bitters arrive in Wisconsin…deep breaths. Yes, they will be $15.95 as stated in the post. And what about Mr. Boudreau’s bitters? Any news? I’m all about supporting the local team! I have a small amount of Cherry Bitters available. I’m just selling them by hand as the labels were not to my liking. I’m reworking the production before I come out with the next flavor: a Boker’s replica. Does “by hand” mean strictly “in person”, or can we have ’em sent by mail? If the latter, I’d be interested in buying a bottle. Thanks! One quick thing to mention – the bottles that are coming to the states are 200ml bottles, not the 150ml bottles that were in the previous shipments. So, it’s cheaper than the direct-ship pricing AND they’re 33% bigger than before! Not normally a fan of celery but would try the Bitter Truth in the UK. One of my guests brough a bottle of the choclate bitters by my bar last week. Amazing stuff! Thanks for the informative post. I’m looking forward to trying some of these out!